This month is all about speed and ease of land title searching in Encompass. May’s enhancements simplify how you browse, order and visualise property ownership. All states and territories (including those which are currently ‘offline’) can now be searched using the unique and streamlined Encompass Logical Order Flow you’ve come to know and love already for ASIC and PPSR searching. As you know, no two states are the same when it comes to ordering land title documents. 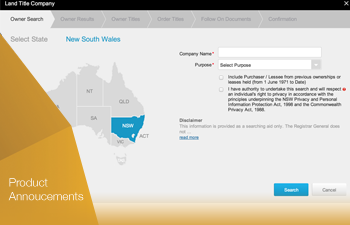 With Encompass, you can choose to search for land title documents in the way that makes the most sense to you. 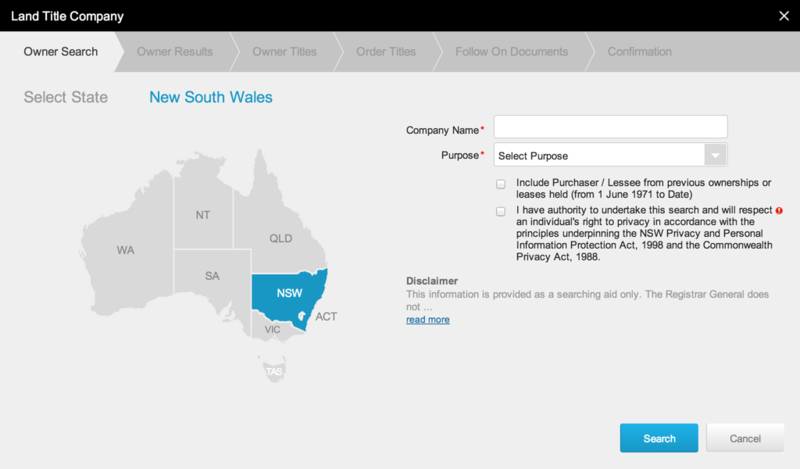 You can enter the title reference but for online state registers you can also choose to search by company or person ownership. For the states and territories that don’t make their property registers available to search online, it can take hours or even days for the title office to return with results. Encompass now does the waiting for you and will notify you by email to let you know when your search is complete. Using the link in the email, you are taken straight back into your workspace to review the results.